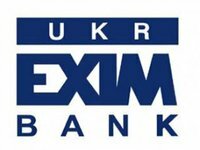 The special committee of the holders of 30% of Ukreximbank (Kyiv) eurobonds has supported their restructuring, according to a post on the website of the issuer. Investors, in particular, approved changes to the terms of eurobond circulation with a maturity term until July 27, 2015 in accordance with the bank's proposal, which were released on April 20. According to the proposal, the maturity of the securities is extended by seven years. At the same time, a depreciation mechanism is foreseen for the repayment of securities: 50% of the principal amount on April 27, 2019, the remaining 50% - in six equal semi-annual installments. The coupon rate on eurobonds is increased to 9.625% from 8.375% per annum. In addition, the bank proposed extending all its other eurobonds by seven years: those worth $125 million maturing on February 9, 2016, and $600 million maturing on January 22, 2018. As in the previous case, both issues foresee an amortization repayment mechanism: on 2016 eurobonds 50% of the principal amount is payable on February 9, 2020, the remaining 50% - in six equal semi-annual installments starting from August 9, 2020; 2018 eurobonds - 50% of the principal amount is payable on January 22, 2021, the remaining 50% - in eight equal semi-annual installments starting from July 22, 2021. The coupon rate on 2016 eurobonds is increased to 7% plus six-month LIBOR from 5% plus 12-month LIBOR, on 2018 eurobonds - to 9.75% from 8.75% per annum. The bank intends in the near future to apply to all eurobond holders with the proposal to approve the above mentioned conditions.